ROCCIA MultiLIF: the cage with many options. The ROCCIA MultiLIF was developed for primary stabilization and restoration of physiological lordosis in the lumbar spine. The cage is designed for various anterior and posterior approaches. Treatment is carried out using TLIF (transforaminal lumbar interbody fusion). 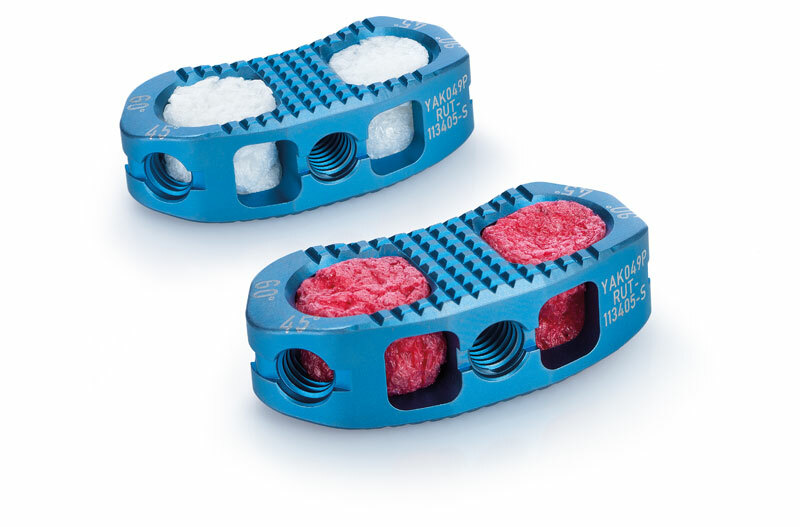 The special feature of ROCCIA MultiLIF is the possibility of using this cage for two different implantation techniques. Transforaminal access is one approach, but an anterior approach to the vertebral column is also possible, either strictly ventral (ventromedial) or ventrolateral ("anterior to the psoas"). 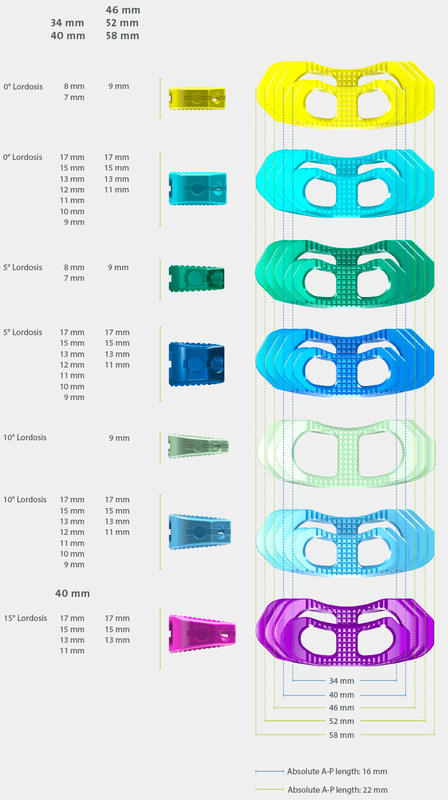 Working ergonomically with the ROCCIA MultiLIF starts with easy allocation of the color-coded cage sizes and trial implants and continues with the variously shaped and angled instruments for surgical exposure under widely varying anatomical conditions. Five differently arranged threaded holes allow numerous options for insertion. The generously proportioned chamber system in the cage allows improved intercorporal fusion. This gives plenty of room for autologous or homologous bone and/or bone graft material for later fusion. Anterograde teeth on the surface of the titanium implant ensure good primary anchoring of the cage to the base and cover plates. A broad supporting surface ensures good primary stability and prevents subsequent sinking or collapse if implanted correctly. The building block for reconstructions. With many cage heights and widths as well as angles of 5° and 10°, the disk height and physiological lordosis can be accurately restored.